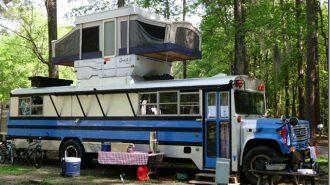 Most beginning RVers start out in a motorhome. When you’re renting from a large, commercial dealership, a Class A or Class C rig is often your only option — and even though the vehicles are hefty, driving a self-powered coach may still be less intimidating than figuring out how a trailer hitch works. But pull-behind campers can offer a lot in the way of flexibility and convenience, not to mention affordability. And hauling trailers isn’t actually as difficult or terrifying as it may first seem to be. If you’re on the market for an RV of your own, whether it’s for the first time or the fifth, we want to make sure pull-along campers claim their rightful space on your list of potential vacation vehicles. They’re so adaptable and unique, you’re really doing yourself a disservice if you dismiss them out of hand! 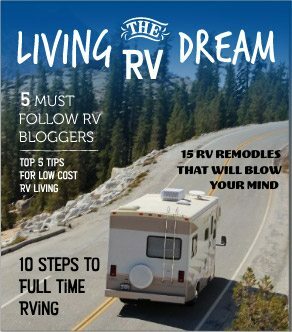 So, regardless of whether you’re shopping for your very own vehicle, scoping out a potential pull-behind rental, or just hoping to learn a little bit more about this particular style of RVing, we put together this ultimate guide post to give you an overview of all things RV towing. We’ll break down how travel trailers are different from motorhomes and tell you what you need to know about your different tow hitch options. Then, we’ll go over a few of the most common types of travel trailers you’ll see while you’re out there on the road, so you have a better idea of which style might suit you and your family’s camping needs. So campers: Ready to go where you’re towed? Here’s everything you need to know to choose the right travel trailer, learn to tow a trailer safely — and have a ton of fun while you’re at it, of course. Before we dive into the meat and potatoes — defining the different types of travel trailers and talking about how to find an appropriate, safe trailer hitch — let’s start with the basics. How are pull-behind camper trailers different from their motorcoach cousins? 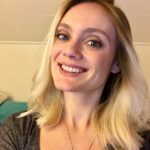 What benefits and drawbacks does this style of RVing come with? The main difference between motorcoaches and travel trailers is pretty obvious: One powers itself, and the other requires a secondary vehicle to tow it around. That may make it seem like motorcoaches are at an advantage, but in reality, the two travel styles are just different. Each has its own set of pros and cons. However, trailers have a few serious advantages over motorcoaches. For one thing, when you tow a trailer, you automatically have a secondary, auxiliary vehicle with which to scope out your destination. 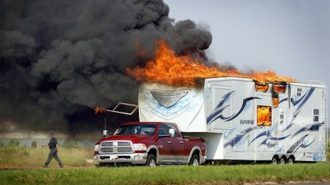 Motorhome owners have to figure out whether or not they want to tow a vehicle behind their already-large motorhome, which can be an added headache when trying to budget for and plan camping outings. 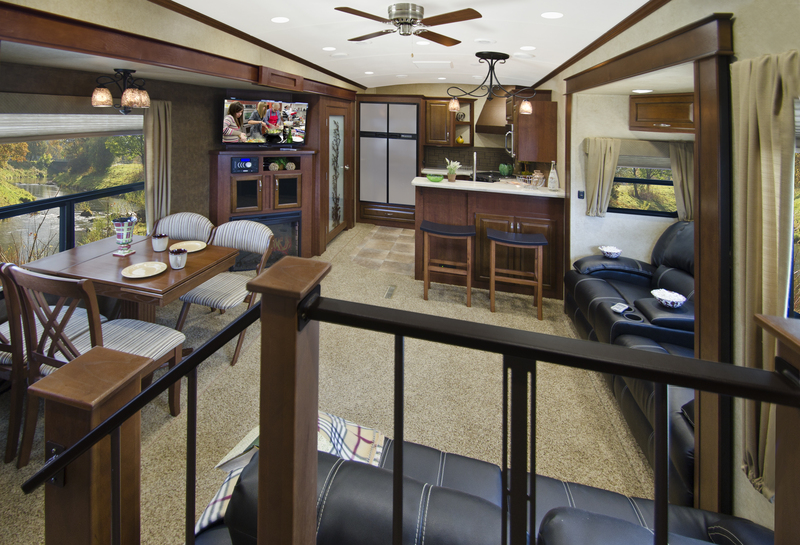 Travel trailers also offer more living space than motorcoaches, even when they’re on the small side. After all, they don’t have to devote any of their precious square footage to a cockpit or engine, which leaves that space free for furnishings, storage, and just plain old room. Today’s travel trailers often have just as many luxurious amenities and slide outs as their high-end motorcoach cousins, so you won’t be sacrificing any quality for that extra elbow room. In fact, some of the most easily-recognized and sought-after RV manufacturers deal primarily or exclusively with travel trailers. 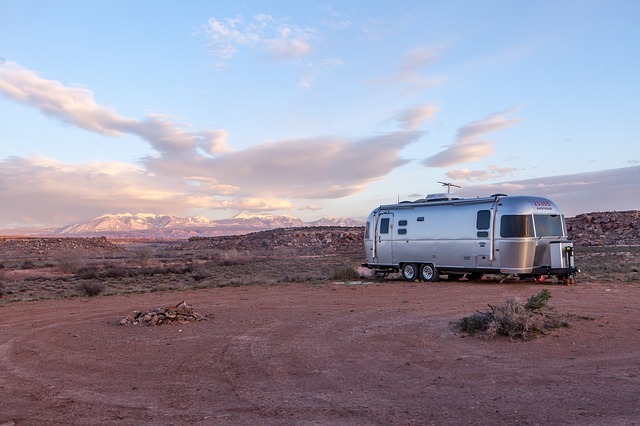 Casita and Airstream are just a couple of examples, both of which are legendary for their extremely well-built and reliable designs. As a final benefit, travel trailers are often far more affordable than motorhomes, because, again, an engine isn’t built into the purchase price. Keep in mind, however, that you will need access to a tow vehicle, which in most cases means a very large SUV or truck. If you don’t already drive one of these kinds of vehicles, the tow vehicle purchase price can add a significant expense to your overall travel trailer setup price. But camping trailer rentals are available, both through RVshare and some specialty rental agencies that deal specifically with towable rigs. If you’re in the market to buy a trailer of your own, we highly recommend you take a few camping trips in different types of towable rental vehicles beforehand. 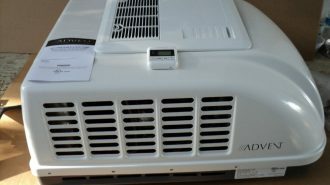 That way, you’ll have the best understanding of which features and dimensions work well for your kind of camping. 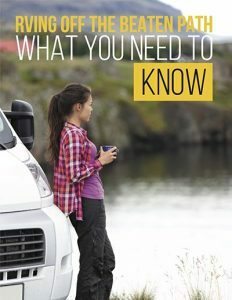 Now that we’ve ascertained some of the differences between motorhomes and travel trailers, let’s talk about one of the most important components that make trailers unique: the tow hitch. Staying safe and connected all comes down to this little gadget, so it’s important you have an understanding of how it works! Just as there are many different types of towable RV trailers, there are also many different types of tow hitches. Which one is the best equipped to tow your trailer will depend on both your tow vehicle and the trailer itself. 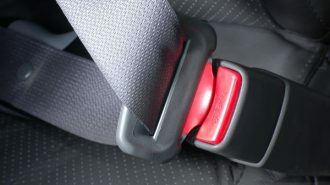 That’s because different hitches are designed with different applications in mind, and not all of them have the same weight limits or utility. 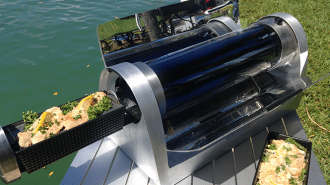 For example, a fifth-wheel trailer can only be towed by a pickup truck with a heavy-duty, gooseneck-style fifth-wheel hitch specifically made for that purpose. Let’s dive into a few of the different types of tow hitches so you can start becoming familiar with the options you may see during your search. We’ll start with the most common: the rear receiver. 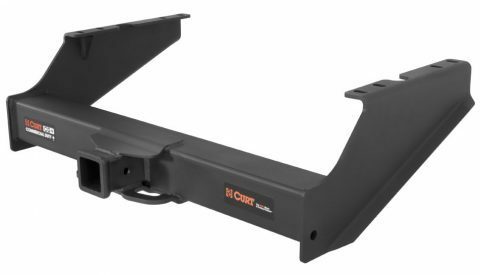 The rear receiver hitch is just what it sounds like: a rear-mounted tow bar with a square receiver tube, commonly found on trucks, SUVs, and sometimes even standard four-door vehicles. 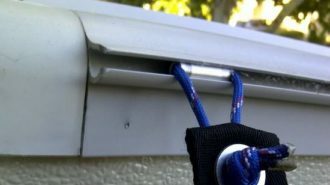 These tow hitches allow you to pull something immediately behind your bumper, whether that’s an RV or some other trailer. They can also be used for bicycle racks and other gear. Rear receiver hitches come in a number of different weight ratings, which are scaled from 1 (lightest-duty) to 5 (heaviest-duty). The size of the tube itself also scales with these ratings. 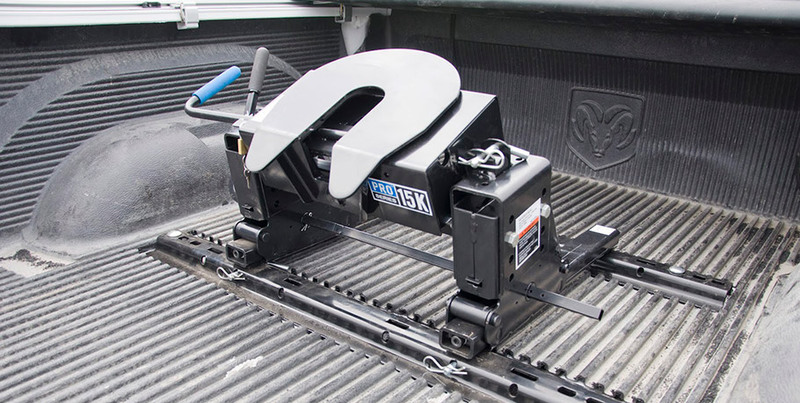 Class 1 receiver hitches may be rated to pull trailers of up to 2,000 pounds, but that’s quite lightweight when you consider all the cargo you’ll end up carrying. 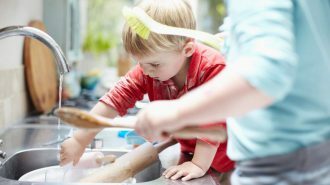 Your water tanks alone can end up weighing several hundred pounds! 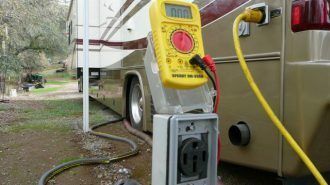 So most standard-sized travel trailers will require a class 3 receiver hitch or higher. However, it’s always important to check your owner’s manual to get the precise weight measurement before you invest in a hitch. A gooseneck hitch is a hitching ball installed in the bed of a pickup truck, and is designed for trailers that feature gooseneck construction, which includes fifth wheel travel trailers as well as many livestock and other industrial-use trailers. Fifth-wheel hitches are a subset of this kind of hitch, and are specially set up in that the coupling device is part of the hitch itself, as opposed to the trailer. These hitches are built to receive the kingpin located on your fifth wheel trailer, which it then secures with a jaw mechanism. They only work in full-sized pickup trucks, and are generally rated to 24,000 pounds. Pretty hefty, huh? While most trailer hitches you see will fall into one of these two general categories, there are a few more travel-trailer-specific hitch designs available on the market, which can help you have a safer and less-stressful driving experience. For instance, a weight distribution hitch helps distribute your trailer’s weight evenly between your tow vehicle’s axles, as opposed to having it all rotating on one small hitch ball. This can keep the trailer from going into what is known as a “squat,” wherein the front of the trailer ends up carrying lower than the back end. A sway control hitch helps the trailer remain straight behind your bumper, avoiding the fishtailing that can occur with high winds or windy roads. 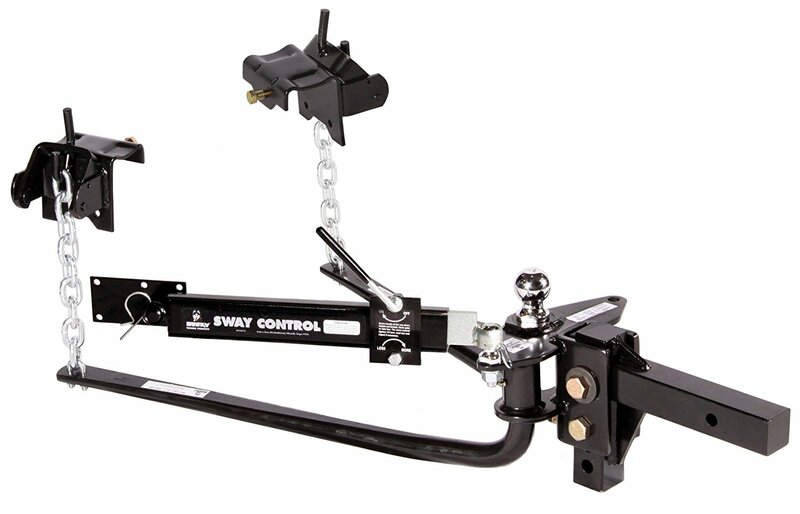 Sway control can be built into weight distribution hitches, as pictured above. This can make for a much more pleasant driving experience, though these hitches do come at a slightly increased price point. In any case, choosing a trailer hitch is a very specified process, and you should seek professional help before you make any firm equipment purchase decisions. Plus, those decisions can really only be made once you know what kind of travel trailer and tow vehicle you have. So let’s move on from the connections to the devices themselves, shall we? We’ll start out on the small end of the scale — because believe it or not, the best tow trailer isn’t always the biggest one. Not by half! For many adventurers, small travel trailers offer just enough of the comforts of home without compromising any of the adaptability and freedom of a traditional camping road trip. 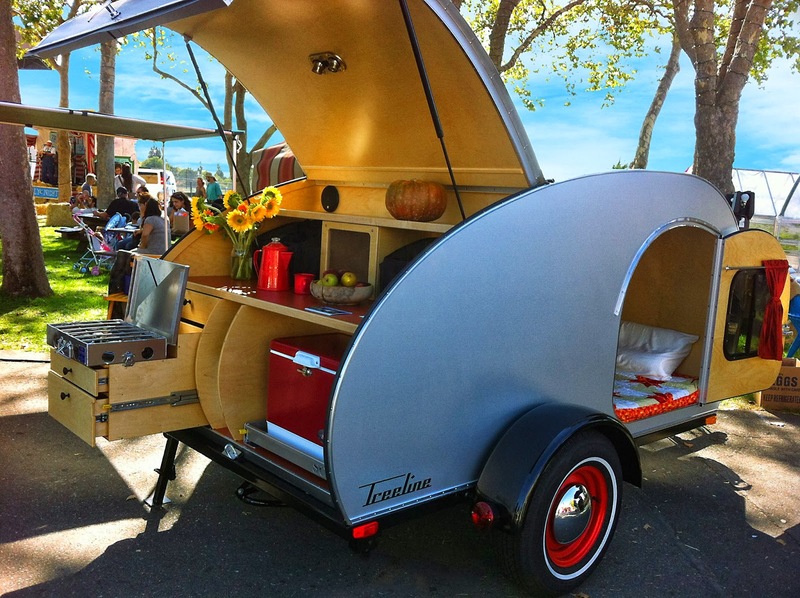 In fact, some families even opt for tiny travel trailers, like teardrop-style or hybrid campers. What these little guys lack in square footage, they more than make up for in accessibility. Not only are they more affordable than large travel trailers, but they’re also often lightweight enough to tow behind midsize SUVs, or even smaller vehicles! 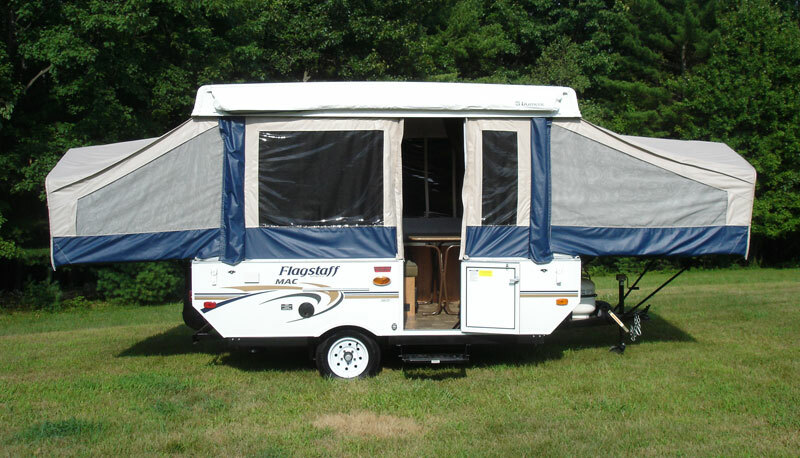 Pop-up campers are a particularly popular type of small travel trailer. Just like their name suggests, they “pop up” when you’re ready to camp, which means they’re folded down and compact during your drive time. The pop-up walls are made of mesh and canvas, which allows for good ventilation and beautiful views of the scenery. 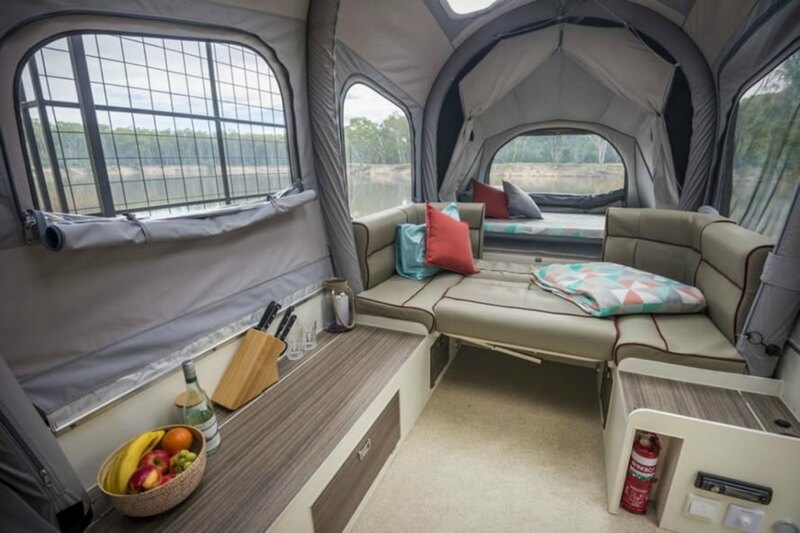 Although the interior might not be decked out with the most luxurious components, everything in a pop-up camper is designed to offer high levels of utility at nearly-nil storage space. Basically, efficiency is the name of the game. Pop-up campers start at just 8 feet in the stored position, referred to as the “box.” When opened up, their length doubles, and they offer a surprisingly roomy interior for a trailer with such a small footprint. Very small pop-ups can weigh as little as 700 pounds, which means you have a lot of flexibility when it comes to choosing a tow vehicle. You can also find pop-up campers as large as 16 feet stored (32 feet opened), which can weigh as much as 7,000 pounds. 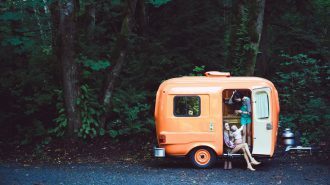 The amenities included in a pop-up camper vary by manufacturer and model, but you might be surprised at how luxurious some of them can be. Many include toilet facilities and functional kitchens, as well as a variety of different sleeping and lounge spaces to accommodate as many as 4-6 adult passengers. Another type of very small travel trailer is the teardrop trailer, which has hard sides like a normal camper but takes a very limited footprint. The inside of the trailer is devoted almost entirely to a bed space, while a kitchen and storage area is operated out of the back end. 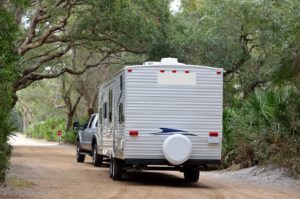 Teardrop trailers don’t usually come with on-board bathroom facilities, so you may have to rely on a campground restroom or a portable camping toilet. 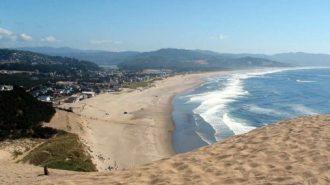 They’re also limited in terms of accommodating multiple passengers, and are generally favored by people traveling solo or as a couple. Don’t get us wrong, these trailers are tiny. But for campers who spend the majority of their trips outdoors, they can make great, affordable ways to stay comfortable after a long day of exploration — they’re definitely an upgrade from car- or tent-camping! 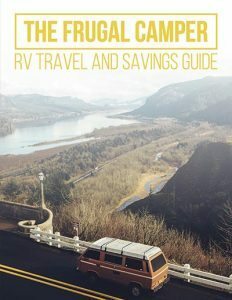 But if you’re traveling with a large family, a lot of gear, or you just want extra room to stretch your legs, you’ll probably be more interested in a larger RV. That’s alright: travel trailers come in all shapes and sizes, and there are plenty of options right up your alley. Not into the whole minimalism thing? Think the tiny house movement is kind of a racket? No worries. As tiny as the travel trailers we’ve explored so far are, they can get just as big and fancy on the other end of the spectrum. In fact, the largest RVs in the world are travel trailers — fifth wheel travel trailers, to be exact! 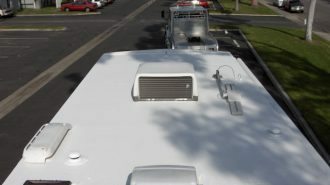 Fifth wheel travel trailers are built into a gooseneck-style chassis which, as described above, requires a specific type of hitch known as a fifth wheel hitch. 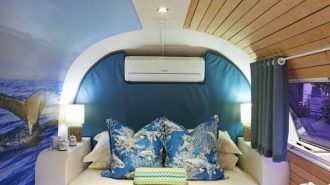 They can be up to 40 feet in length and filled with all sorts of plush amenities, including full-sized kitchens with islands, separate master bedrooms, bath tubs, slide outs, washing machines, and more. Just keep in mind that these large trailers have an equally large weight. Most fifth wheels require a full-sized, or one-ton pickup truck in order to safely haul them. Those large, powerful vehicles can cost a pretty penny… and be a bit cumbersome to drive around narrow city streets when you’re exploring your destination. Alright. We’ve talked about tiny trailers and gigantic fifth wheels, and we know there’s a huge breadth of diverse vehicles available in between. But what about campers who have already have a just-for-fun vehicle they want to bring along on vacation? If you ride an ATV, motorcycle, golf cart or boat, you probably don’t want to leave it behind on your outing. After all, it’s a great way to explore your destination even further. If you were driving a motorhome, you could ditch your tow-behind car in favor of your “toy,” which you might have to haul on a platform trailer. But in a travel trailer, bringing an additional vehicle like that would require double-hauling, which is both difficult and in some places illegal. … or would it require double-hauling? 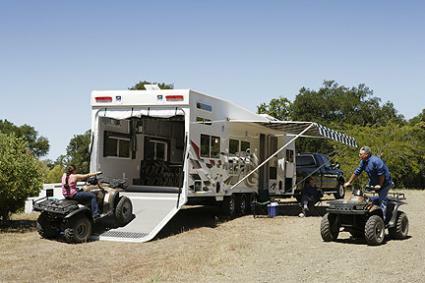 Toy haulers are specially-designed travel trailers made specifically for campers who want to bring along their extra-large toys, like the above-mentioned auxiliary vehicles. With the same body shape as a traditional travel trailer, toy haulers feature a special “garage” area in the back, which allows you to bring along whatever large adventure gear item your heart desires. Although toy haulers do sacrifice some living space for this garage feature, the amenities they include are generally top-of-the-line and luxurious. These trailers frequently offer full-sized kitchens, deluxe master bedrooms, and even slide outs. Plus, when you’re camped and you’ve taken the toys out of the box, so to speak, you can use that garage area as a raised patio. Win, win! Just like other large travel trailers, toy haulers require capacious and powerful vehicles to tow them. After all, you’re adding a whole lot of weight to the package with that extra vehicle! So if you don’t already have a large truck or super-sized SUV, keep that in mind before proceeding with this option. As we’ve mentioned throughout the article, different pull trailers have different requirements when it comes to their tow vehicle. 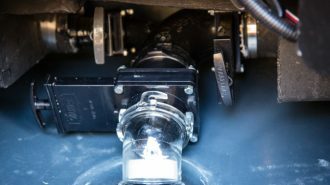 While there are some additional nuances — for instance, you can’t pull a fifth wheel with a rear receiver hitch — what it really comes down to is one very important acronym: GVWR. GVWR stands for Gross Vehicle Weight Rating, and it’s a measure of how much weight a given car or truck can safely handle. That includes all cargo in the vehicle itself as well as anything that vehicle might be towing, like an RV trailer. Here’s a calculator to help you determine what your vehicle is capable of towing. GVWR varies widely across the spectrum of available vehicles. For example, a small car like a Honda Fit has a maximum load limit of just 850 pounds — and that’s including passengers! A midsize SUV, on the other hand, might have a significantly larger limit; for instance, the 2018 Honda CRV can handle a load of almost 5,000 pounds. 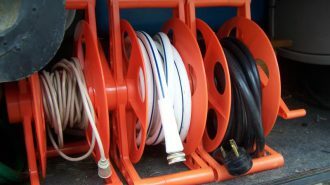 Although several thousand pounds may sound like a lot, pull trailers can be quite heavy, and the stuff you bring along can add up quickly, too. 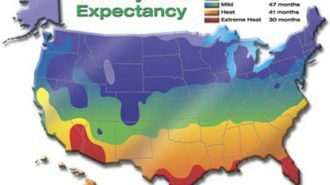 Keep in mind that the total figure will include the weights of you and your family, all your belongings, and the food, water, and fuel you keep on board. 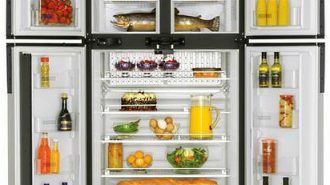 Water alone weighs about 8 pounds per gallon, so you can see how easy it is to achieve a very large weight without thinking about it! If you’re purchasing a tow car or truck specifically for the purpose of pulling a trailer, it’s always better to scale up rather than to choose the vehicle that just barely cuts it when it comes to towing capacity. After all, who knows — you may decide to upgrade your trailer in the future. Or you may travel with more stuff than you think you do. The reason this is all so important is because having a vehicle appropriately rated to tow your camper is actually a safety issue. If you try towing a trailer with a car that’s too lightweight, you could end up being pushed around by that great big weight behind you. In a worst-case scenario, you might even find yourself losing control of the rig. Auto insurance companies understand this potential, and they frequently have a clause that weighs your coverage if you pull a trailer that’s weighted more than your vehicle is rated for. As we hope this post has shown, travel trailers come in a huge array of sizes, shapes, and capacities; there’s truly a towable RV out there for every kind of camper on the road. Whether you’re looking for something small, scrappy, and agile to upgrade your tent-camping tradition or you’re ready to invest in a full-sized home away from home, with just a little bit of digging, you can find a travel trailer to suit your needs. Of course, with so much diversity on the market, it can be overwhelming to make a purchase decision. But that’s one way RVshare can really help the RVing community. Since our owners list rigs of all shapes, types, and sizes, renting an RV through RVshare is a great way to try out a new style of travel trailer before you commit to buying one of your own. 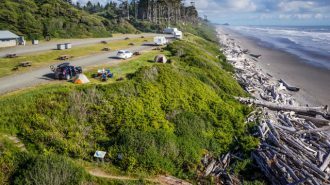 You can even spend several different camping weekends on this “research,” renting different types of vehicles to get a first-hand feel for what it’s like to camp in them. Not bad as far as homework goes, right? 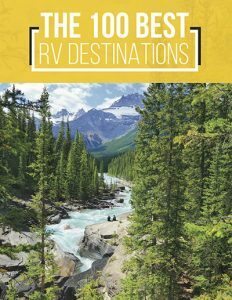 Whether you decide you need nothing more than a teardrop or go for the whole fifth-wheel enchilada, we’ll be right here waiting with more tips, tricks, and fun destinations for you to discover. After all, it’s all out there waiting for you — so what are you waiting for?